FreeBitco.in is definitely one of my favorite bitcoin faucets these days. Mostly because there isn’t much advertising on the website and no redirections to waste my precious time. And because it simply works as advertised, with some extra features I’ll introduce below. So if you’re looking to earn free bitcoin in 2019, this is the right place to start. 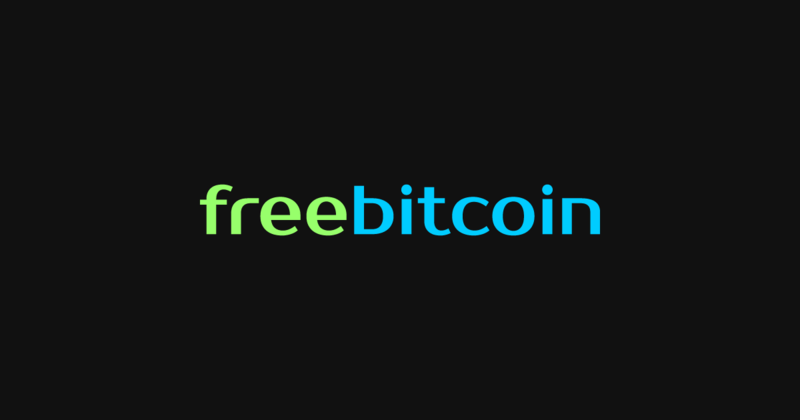 FreeBitco.in is a free bitcoin faucet founded in 2013 in the British Virgin Islands. It now boasts over 15 million regular users. And if you wonder how much bitcoin the website has shelled out since its creation, it’s way over 145,000 BTC now… The bitcoin price always fluctuates, so I won’t give you an equivalent in dollars. But that’s a lot of crypto, trust me! And you can always track this in their Stats, that are available to all. Their faucet is called Free BTC. And you don’t need to claim bitcoins or solve captchas here. You need to roll the dice! And the amount of bitcoins you get depends on the number you rolled. But you can play only one time every hour. While it was originally a simple bitcoin faucet, FreeBitco.in has evolved every now and then over the years. Indeed, users can now access several new tabs from their area. Particularly popular is their Multiply BTC feature, where you can play a provably fair HI-LO game. Basically, you can gamble with your hard-earned bitcoin to try and multiply them by up to 4,750 times! And if you like to play the lottery, FreeBitco.in has something for you: You can participate in their weekly lottery draw and win big prizes! While you can buy lottery tickets, you’ll receive 2 free lottery tickets for every Free BTC roll you play. Maybe a word on their latest addition, the Earn BTC feature, which allows users to receive daily interests on the balance of their FreeBitco.in account. Once you’ve reached a balance of 30,000 satoshi (0.0003 BTC), they’ll automatically pay you compound interests. Every. Day. Without doing anything. How to earn on FreeBitco.in? First of all, you need to sign up to be able to play – that’s mandatory (but you can easily remain anonymous). And all you have to do is fill your email address and a password. Then solve the captcha and click on Sign Up! And that’s it, you can start rolling. There are many ways to get free bitcoins on the website, as you can guess from my little presentation. While the faucet is always a classic, I’d recommend you to focus on their gambling page: Multiply BTC. Because you can play more often. And that’s where you can really increase your earnings. Just play with the settings to optimize your chances of winning. Also, I’d recommend to always keep a balance of at least 30,000 satoshis, to earn interests on a daily basis. While its not much, you can earn a passive income from this. And it’s much easier than rolling anything – you have nothing to do! Finally, you can take a look at their referral program. Because you can get commissions when you refer new users to FreeBitco.in! And you could get more passive income from their own activity. There isn’t much details about the company and their team. But everything’s working as advertised on the website. And you can easily withdraw your earnings. – it may take up to 24 hours for the bitcoins to appear in your wallet. But you’ll get an email with the transaction ID to verify everything’s OK. So that’s what you would expect from a respectable company. While things can always evolve quickly online, I can vouch for this faucet, like millions of other users. And this is without doubt a bitcoin faucet to keep in your portfolio in 2019. While the payout is not that high, it allows you to win free bitcoins if you have extra-time on your hands. You’ve reached the end of my FreeBitco.in review. And I hope you’ve found the answers to all your questions. For me, you’ve got here a legitimate earning opportunity in 2019. So you can sign up now and spend some time on the platform without the risk of wasting it. Because the platform delivers, unlike many others. And if you’ve enjoyed FreeBitco.in, check out my Cointiply review: It’s another great faucet to make money online.